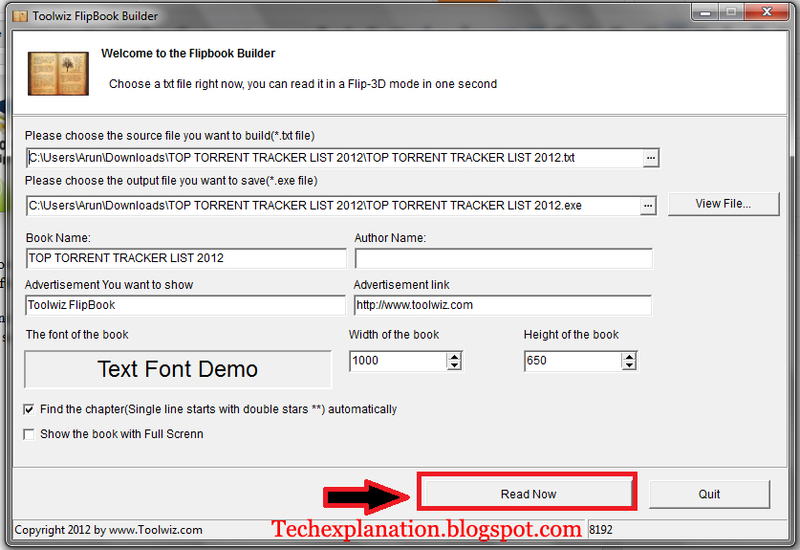 Make txt file a 3D eBOOK using Toolwiz Flipbook. 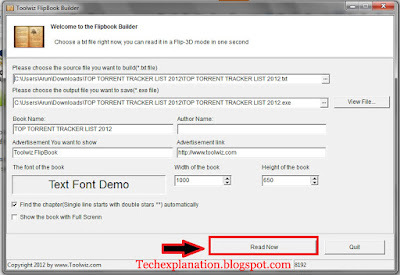 With this software you can build txt file into 3d ebook only with few clicks.Toolwiz Flipbook support more than 200+ effects. Reading in notepad is such a boring task just because it not looks beautiful and the onts used in notepad is also not so cool.you can use Space, Up, Down, Left, Right key to read the book in a flipping way easily. 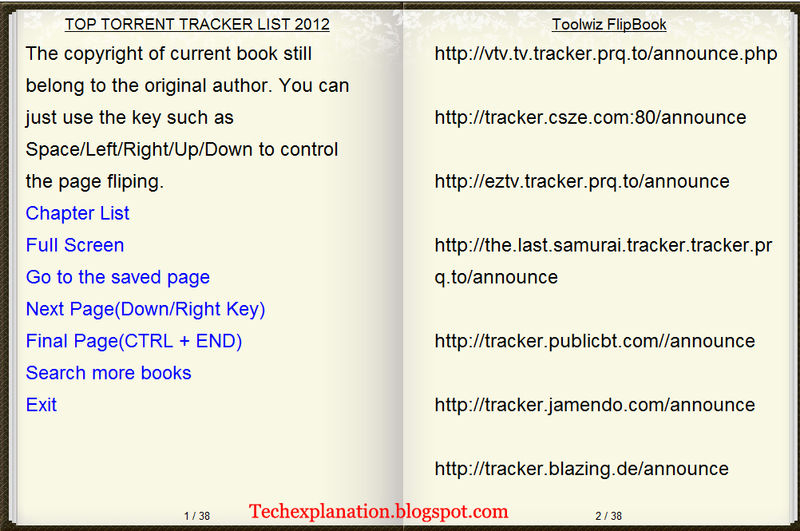 Also it supports a Boss key(Ctrl + UP) to hide the book in one second. Download Toolwiz Flip book from the link and install it on your pc simple to install.Once you install the software run Flip book from start menu. Once Toolwiz Flip on Brows your file you want to read.Select location to save out put file.I recommend to save it on desktop because is is simple to reach.Select the font of the Book to make it better and customize it for your self. Now click on read now button to start the 3d ebook.It will create a 3d book.This is my ebook image here your ebook will also look lioke this. 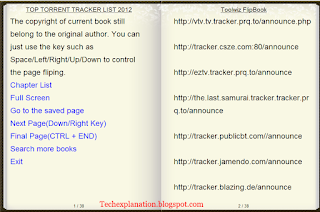 Toolwiz flip book convert txt file into 3D ebook and it is a free software.